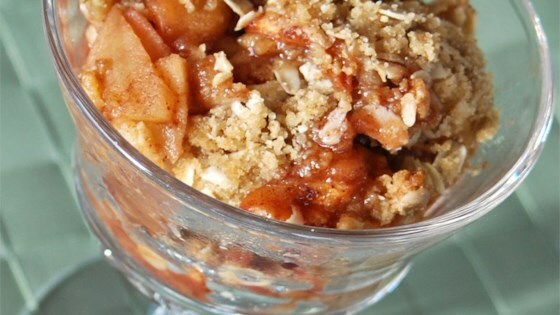 "A wonderful combination of apples and fresh cranberries with a crisp, pecan topping." Delicious! I split up the mixture among four ramekins and baked at 375º for about 25 minutes. The taste and texture were both phenomenal. Loved this! But I had to bake it in a larger dish. When I tried to fit it in a pan of the specified size, the apple mixture wouldn't fit.